Cookies, cupcakes, chocolate, and giant teddy bears! Yes, it’s almost that time of year again, February 14th is slowly yet surely approaching and I honestly can’t wait. However, in Japan, Valentine’s Day is done a bit different than in the U.S.
One of the biggest differences is that here in Japan it is mostly the women that make or buy chocolate and give it to their friends or loved ones and then they will in return, receive gifts or chocolate on White Day. While I find having two specials days kind of cool, In America we do it all in one day. As children, our parents will take us shopping to pick out a box or two of Valentine’s Day cards along with a bag of candy to attach to them. Really the best part is the candy and the cupcakes someone’s parents will make for the class celebration that would be held. It would always be so much fun reading the silly cards and having half a day with no classwork. Good times, Goooooood times. Now as adults, both men and women will generally buy gifts for that “special someone” and make plans to go on a date or just hang out and have fun. In recent years some people think it is more geared for men to express their love by buying expensive gift and going on expensive trips. I think that takes away from something that should come more from the heart. 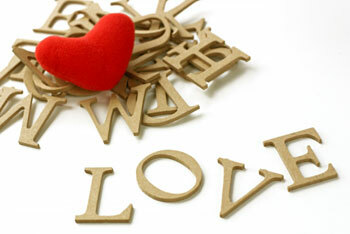 What do you think about the difference in which we celebrate Valentine’s Day? Will you be preparing anything special this year for school or friends, or maybe that “special someone”? Please share with me in the comments!